The much hyped and the most anticipated Apple iPhone 5 is now a reality and it has crashed all the rumours and put a big full stop to all buzz. Apple iPhone 5 is officially launched today. 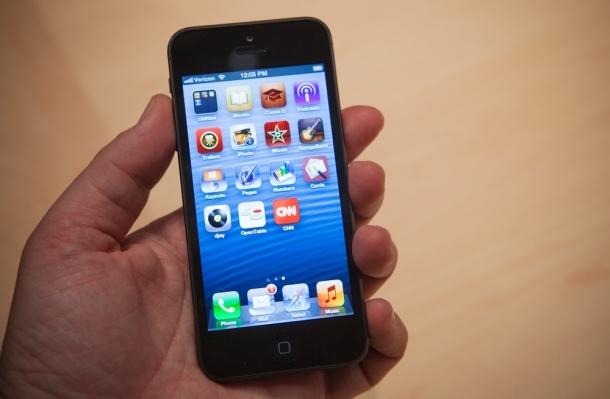 The 6th generation iPhone which was called by many names before the launch finally arrived as the iPhone 5. Framed in aluminium and glass, the iPhone 5 is 18 percent thinner than the existing iPhone 4S and it is even 20 percent lighter than all its predecessors. It has got 4 inches retina display which offers the aspect ratio of 16:9 and offers the resolution of 1136×640 pixels with pixel density of 326ppi. Powered with A6 processor Apple iPhone 5 is running on entirely new iOS 6 which comes with intelligent SIRI which also has learn to speak out on Sports and can also find your favourite food in the town. Along with this it also has got exclusive facebook and twitter integration. With the better front camera and 8MP main camera Apple this time has introduced new panorama mode which will enable you to take several shots and to form a big picture of 28 MP. 4G LTE is the part of the the New iPhone 5 and there is also a new and smaller connector called as Lightning which has got 8 signal design. Apple will start the shipment from 21st September and Preorder will start from 14th September. Price of iPhone 5 will be USD 199 for 16 GB, 299 for 32 GB and USD 399 for 64 GB.